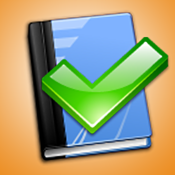 Create, schedule and run your checklists with the simple and handy features of Check List PRO. Check List PRO will help you organize and follow the performance of repetitive tasks such as works, maintenance operations, business, studies or projects, and prevent you from forgetting them, especially those which should be performed with care. Check List PRO will enable you to manage your to-do lists precisely, by assigning them to categories and defining priorities for them. “Calendar” (for the checklists that must be run at a precise date), “Without (fixed) date” (for those which can be run at any moment) and “Categories” (for a categorized display). The application enables you to create tasks and sub-tasks, thus allowing you to create secondary levels within checklists. For productivity purposes, Check List PRO also features a duplication tool which will help you copy frequently-used checklists. You can also use Airprint to get a hard copy of your checklists, or send them directly by e-mail. Optimized for Retina Display and iPhone 5.